If you've ever thought about learning a little HTML but been put off because it seems like a huge time investment (or too difficult altogether), this article might cause you to reconsider. While some people are happy to spend weeks or months in intensive web development courses, you don't necessarily have to do that to still get some of the benefits. Even learning a small amount of HTML (to create web elements like buttons, text and images) and CSS (to change the way those elements look) could pay off hugely over time, saving you money and improving your career prospects. No matter how sophisticated content management systems (like WordPress) or 'easy website builders' become, HTML remains the core building block of the web. And since more and more jobs involve using the web in some way, it's likely that learning a little HTML now will help you in a big way down the line. It's surprisingly easy to get started. You just need patience, and perhaps a mini-workshop or short course if you'd prefer a teacher's support. Lots of websites use a content management system, like WordPress, which makes it possible for non-coders to add or edit content on the site. This is great, because even coders appreciate the 'separation of concerns' here. If you're editing content, you're just editing content. The theme and its underlying code remains safely untouched. Similarly, theme developers can update a theme's code safe in the knowledge that they won't be changing the site's content. However, there is a downside here. Namely: what if you want to add a page... that has two or three columns of content? Or create a new landing page that has a special 'Sign Up Now' button? At some point, anyone creating content for a WordPress website will feel frustrated at the limitations of the page (or post) editor—unless they know a little HTML and CSS. If you're comfortable with some basic HTML and CSS, you can switch to the 'Text' tab on the page or post editing screen and create whatever layout you wish. Need to fix a wonky table? Or put a border around one particular image? Or insert a 'Buy Now' button that connects to PayPal? All these tasks become simple when you know the basics of HTML and CSS. And once you've used a little HTML and CSS in that 'Text' tab... you might find yourself curious to see what other aspects of your WordPress site you can fine-tune. The answer? Absolutely all of it. ...and any other changes you can imagine. Some changes might require more familiarity with HTML and CSS, but many of them are surprisingly simple. Check out our guide to making a WordPress child theme if you know a little HTML and CSS and feel curious about starting to customise your site. WordPress is not the only content management system (CMS) out there, of course. There are almost too many alternatives to count. Some of the alternatives work in a similar way to WordPress, but some are quite different. One of the very different kinds of CMS is Jekyll, a 'static site generator'. The Jekyll documentation includes an installation guide. Because installing Jekyll involves using the Terminal (Mac) or Command Prompt (Windows), coding beginners may need to do some extra research or ask a more experienced developer for help. Once your first Jekyll site is set up, however, you'll see that the template files (e.g. for the header and footer of each page of your site) are written in HTML, and of course all the visual styling comes from CSS. You can make your site as complex or as simple as you like, so even an HTML beginner can put together their own website (with a blog!) and easily manage its appearance & content. Especially if you look into using a framework like Bootstrap or Foundation. These foundations provide you with lots of pre-written CSS, so all you need to do is add certain classes to your HTML elements and they'll be styled attractively. You can then customise them further, if you wish. The advantages of a static site generator like Jekyll are fast load times, cost (hosting is free! ), and security (there's no database that can be hacked). Jekyll is likely better for smaller sites, like your personal portfolio, but it's incredibly flexible and powerful. And the only code you need to know is a little HTML and CSS. If you are using the web to promote a product or service, you'll find yourself in need of custom landing pages. Whether you're using paid channels like Google AdWords or Facebook ads to drive traffic, or you're guest-posting on related websites, or being interviewed on podcasts—custom landing pages are essential. A custom landing page allows you to greet new traffic with highly-relevant messaging. If you've created a web app and submitted a guest post to a relevant technology blog, then you might want to offer the readers of that post a special deal if they buy your app straight away. Whatever you're promoting, you'll get better results with carefully-targeted images, text, video and call-to-action buttons. Using custom landing pages, you can speak directly to different types of potential customer, showing that you understand their needs and pain-points and assuring them that your product is the best solution. You might even want to use your landing pages to disqualify certain prospects. If someone isn't in your ideal customer demographic, you might not want them to buy your product at all because they'll likely be dissatisfied. Custom landing pages are, overall, an essential part of digital marketing. And there are ways to make them without coding... but there is usually an extra cost to pay for this. The best way to avoid that cost is to learn just a little HTML and CSS. Once you know how to add text, images, video and appealing buttons to a page, you're all set. You could even create two versions of a landing page and set up an A/B testing service to see which one performs best. Once you've gained just a little bit of coding confidence, you'll find all kinds of options become available to you. You probably already know that you can right-click on any webpage and choose 'View Source' to take a look at its underlying code. However, for complete coding novice, there usually isn't much point doing this. It's just a sea of funny characters and odd words. <input type="text">, <div class="sidebar"> and <meta name="description">? Not helpful. If you spend an hour or two here and there learning some HTML basics, though, you'll soon discover what all of these things are. The only question remaining then might be: why did the developer(s) of this website use this element here? And how did they create that layout? These are interesting questions and the answers can vary. But over time, as you look here and there at other websites, you'll pick up all kinds of tricks for making websites look and behave in certain ways. And if you find some particularly impressive code somewhere, consider emailing the website owner to let them know. Web developers are always happy to find out that their work is appreciated! 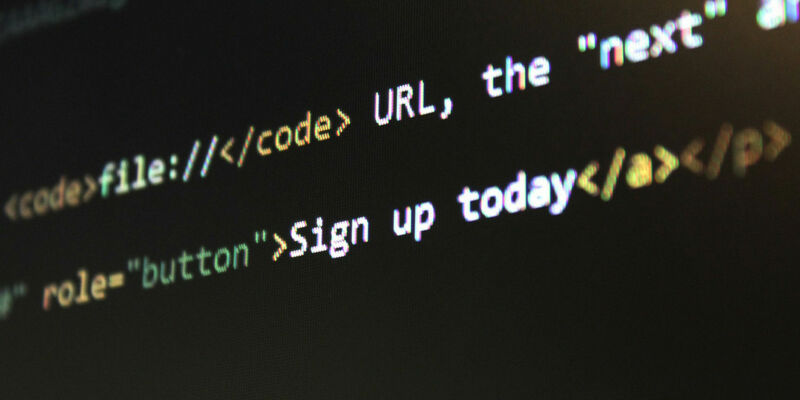 Speaking of web developers, you may find yourself working with one or more of them in the future. Whether you're starting your own business and hiring someone to build your website, or taking on a new project at the office, it's increasingly likely these days that you'll be talking about the web at work. Even though it might not seem like basic HTML and CSS knowledge would help here, it's surprisingly useful. You'll be able to save a lot of time in the long run if you already have an idea of what's easy to do with code—and what's difficult. You'll be able to give a clearer outline of what you want them to build. The developer(s) you're working with will also be able to communicate their ideas and suggestions more quickly with you. And you'll likely be able to repond with ideas and suggestions of your own. Not to mention that, if you're the one hiring the developer(s), you'll be more effective at finding and interviewing good ones. It's surprising how much difference a little basic HTML knowledge can make. Your team project will likely be much more enjoyable, and the end result much more impressive. Learning a little bit of HTML and CSS now might not seem like the most important thing to do. But the benefits of learning something about code pile up over time. As you've seen from the points above, there are all kinds of situation where a little coding knowledge could save you time and money, or could enable you to contribute more to a team project. But the other key benefit is that your confidence will grow (alongside your knowledge) over time. It's difficult to avoid the web nowadays, no matter what work you do. And since the internet provides instantaneous communication and access to endless apps that boost your productivity, it's best to embrace it. And despite how complex some websites and apps might be overall, they are still built with the fundamental blocks of the web: HTML and CSS. So if you start learning just a little of these languages today, over time your knowledge will grow and increase your confidence with it. There are a surprising number of skilled WordPress developers who started out, maybe as little as one year ago, knowing nothing about code. But they had a spark of curiosity and they made time to follow it. If you do the same, you never know what doors might open up.